Home » News archive » DARK PHANTOM…Syrian Tour. DARK PHANTOM: Campaign For Syrian Tour. Hello earthlings, We're Dark Phantom a Heavy Metal band from Iraq, We started this campaign to raise money to travel and tour in our neighboring war torn country Syria and play multiple Metal shows there with our original music, We work full time jobs and are trying our best to support the band and the Metal scene in both Iraq and Syria but our sole effort is not enough and we need financial help, We go through daily struggle to practice as a band whether it's equipment that is too expensive for us or finding a place to practice since music in these forms are forbidden and prohibited by law and religion, Many times our shows get canceled mostly by the Ministry of Culture! They state that such music can never be played in here. 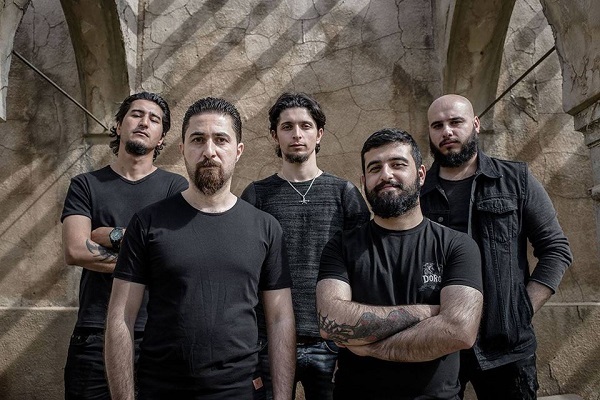 That's why we need Metal patriots around the globe to help us out to travel to Syria to make a good impact in the Metal scene and spread the word and the music here in the Middle-east. Paypal also available. Give however much you want. All payments are secure. Thank you!